Garrett Ford recently posted a blog about a lack of quality hoof care, and posed the question of how to bring about change. Coincidentally, my husband and I had just been discussing the topic of what causes people to make positive changes. We have both made some new commitments in the past year: My husband, Jace, began running ultra marathons, and I have returned to endurance riding. We both agree that we are much better off now that we are participating in our respective sports, but what caused us to finally commit to something that we knew would require serious dedication in order to simply get to the finish line? In order to make the jump from our former slacker selves to the new improved versions, we needed some extra motivation. Jace calls it a “forcing function.” A forcing function is a circumstance that makes choosing change a less painful alternative than maintaining the status quo. For both of us, that meant entering our races well ahead of time. Once the entry fee was paid, our pride and our pocketbooks wouldn’t let us back out! Even when the weather or work threw us off of our conditioning schedules, we found ways to work around the difficulties, because that race date was looming ahead on the calendar! 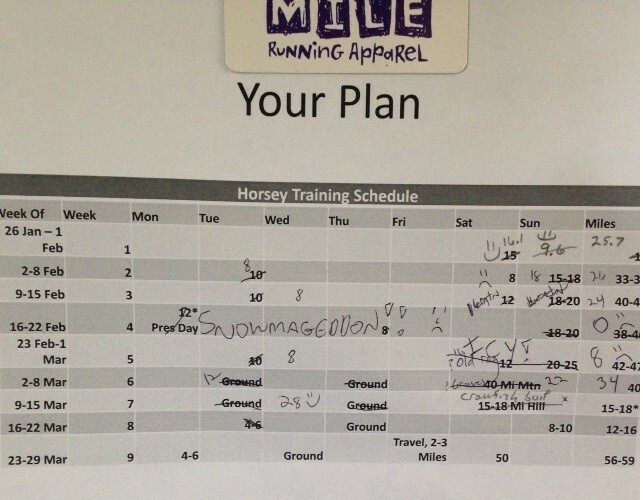 Jace made each of us a training spreadsheet to stick on the fridge. The weather caused some major editing! When it comes to making changes in hoof care, I think forcing functions play a big role. For years, I was content to allow someone else to be an “expert” on my horses’ hooves. Even when I knew that they were not getting the best care, I carried on for a while longer because the process of finding someone or something better seemed too daunting. It wasn’t until the Army moved us to the middle of the Mojave Desert, where farriers were extremely scarce and expensive, that I finally decided to learn to trim my own horses. For a lot of people, their forcing function comes in the form of a severe hoof related condition such as laminitis or navicular, where relief only comes from making some major changes from traditional horsekeeping and hoof care. 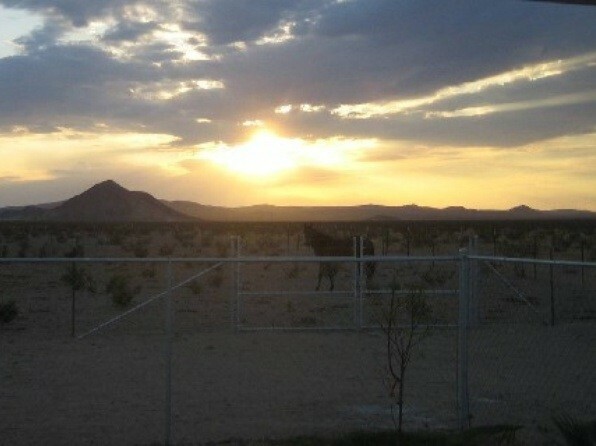 Our backyard in the Mojave: beautiful and desolate.